It is interesting to note that a number of states are considering a significant, and I would add, overdue change to the funding of education — giving the funds to parents. 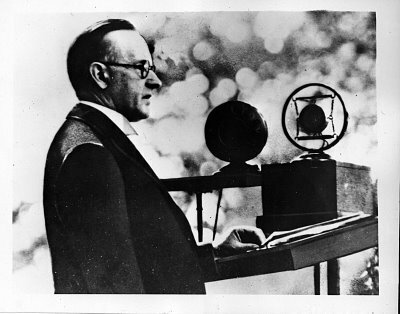 This raises the question of what would Coolidge think? We do not have to wonder very much, he told us. 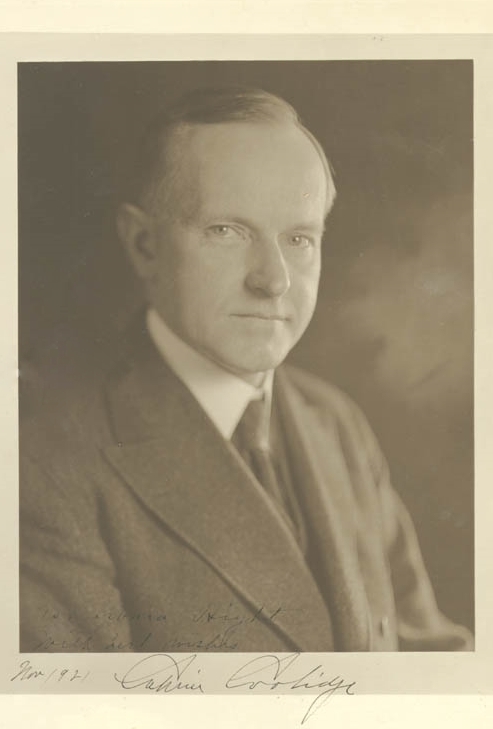 When President Coolidge took up his predecessor’s call for a Cabinet-level Department of Education, he did not envision the pervasive reach of Washington into the daily operation, assignment of students, selection of curricula or the countless ways in which dollars from the Public Treasury purchase increasingly centralized control. In fact, he made it clear he opposed such a development. All these concerns were the responsibility of each state and local district unhampered to innovate, tailor its work to the needs of the students, parents and neighborhood, freed to not simply relate trivia but instill character and what made good citizenship. What he had in mind was not the current federal Department of Education, but rather a kind of information desk, where Americans all across the country could go to learn better methods, teaching techniques, and obtain help through the insight of others’ experiences in order to facilitate not the needs of Government but for Government to serve the needs of its employers, the American citizen and payer of taxes. This dovetailed with his belief in a Constitutional amendment to restrict child labor which, after approval by the Congress, fell short of the necessary two thirds of the states for ratification. Coolidge was not endorsing indolence among children, he pressed for both measures so that kids would not be forced to work the factories, mills and offices for their families, when they could instead be capitalizing on opportunities to educate themselves and thereby become better men and women, improved employers and employed, and more prepared for the work of tomorrow. 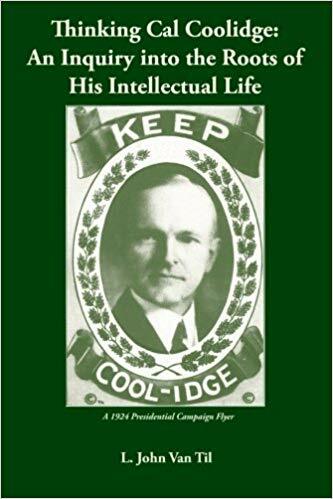 While most of the country did not agree with either of his positions, however prescient his proposals were, most saw little harm coming from children learning a work ethic from early age, as his own boys did, Coolidge had a principled basis for his position. “The encouragement and support of education is peculiarly the function of the several states. While the political units of the district, the township, and the county should not fail to make whatever contribution they are able, nevertheless, since the wealth and resources of the different communities vary, while the needs of the youth for education in the rich city and in the poor country are exactly the same, and the obligations of society toward them are exactly the same, it is proper that the state treasury should be called on to supply the needed deficiency. The state must contribute, set the standard, and provide supervision, if society is to discharge its full duty, not only to the youth of the country, but even to itself. 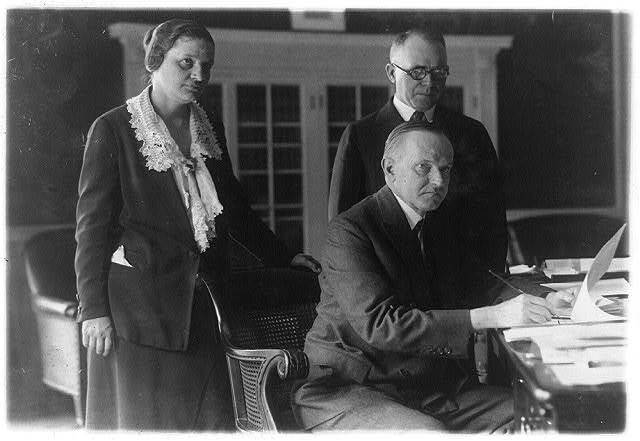 President Coolidge collaborating with Assistant Attorney General Mabel W. Willebrandt and Representative Israel M. Foster on child labor and education policy, June 7, 1924. Courtesy of the Library of Congress.